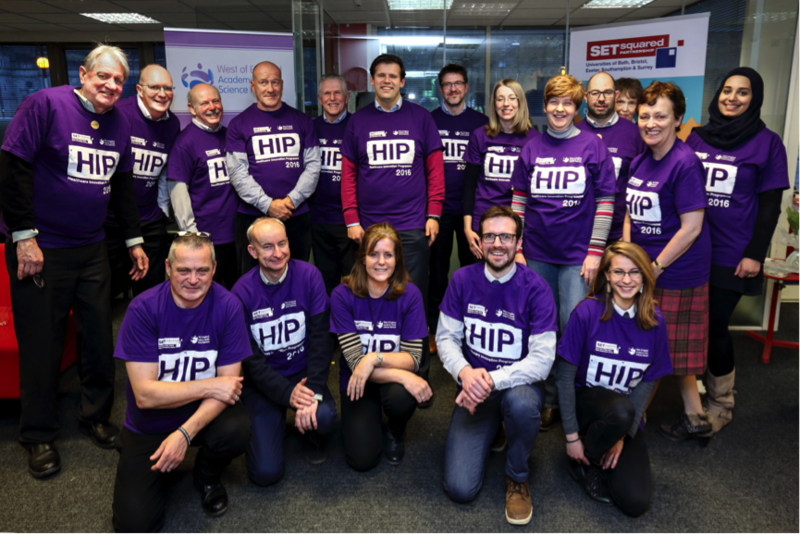 MPs from Bath and Southampton have shown their support for SETsquared’s Health Innovation Programme, run in partnership with the Academic Health Science Networks (AHSNs), by visiting their local programmes. The West of England Health Innovation Programme provided 16 innovators from 13 healthcare ventures with an intensive course in taking innovations to market and culminated in a certificate presentation attended by Bath MP Ben Howlett. The business ideas that entrepreneurs were developing on this course ranged from apps that allow patients to track their symptoms, through to a way for music, objects and photos to help people with dementia and their families. On the Wessex Health Innovation Programme, 9 healthcare innovators benefitted from the training and the ideas ranged from the use of virtual and augmented reality to teach healthcare professionals procedural skills through to a new technology for high volume patient imaging. Caroline Noakes MP for Romsey and Southampton North, visited the Wessex programme on 19th March. On both programmes delegates took part in sessions that covered customer analysis, funding strategies, building a business case and market analysis, they also provided a chance for the innovators to pitch to an experienced panel as well as try out ideas and network. SETsquared joined forces with four Academic Health Science Networks in the South of England in 2014 to set up the revolutionary new programme that could see more effective and better value healthcare technologies benefitting patients quicker than ever.